250 $USD Per person twin share, min 3-10 pax. 280$ USD Per person twin share, min 2 pax. 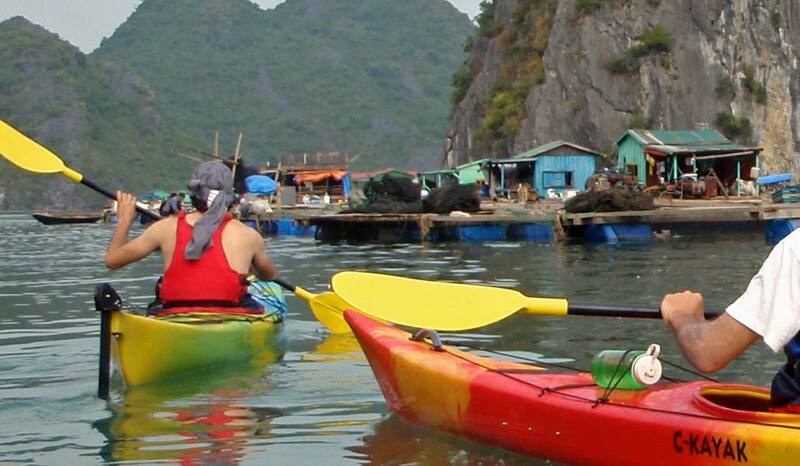 Cruise and explore the bay by kayak and Biking/ Hiking on Cat Ba Island. 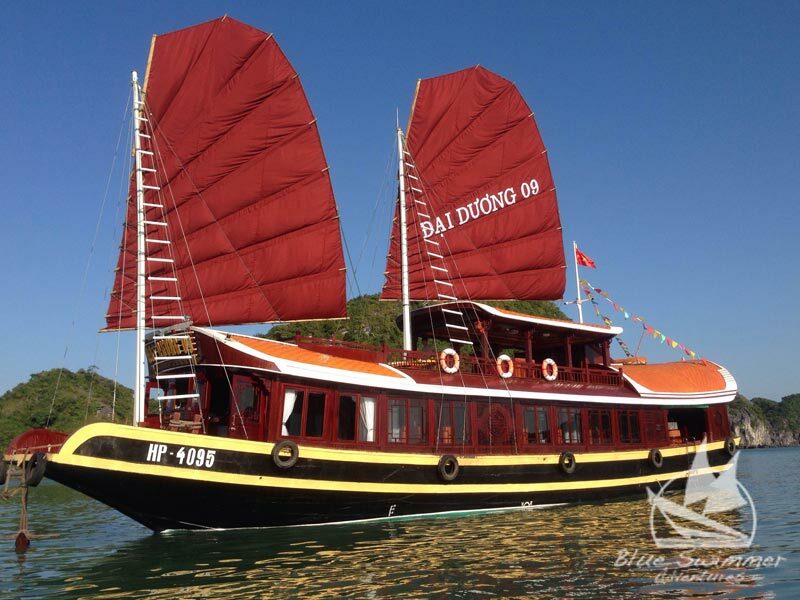 Take our 3 Day 2 night custom cruise. 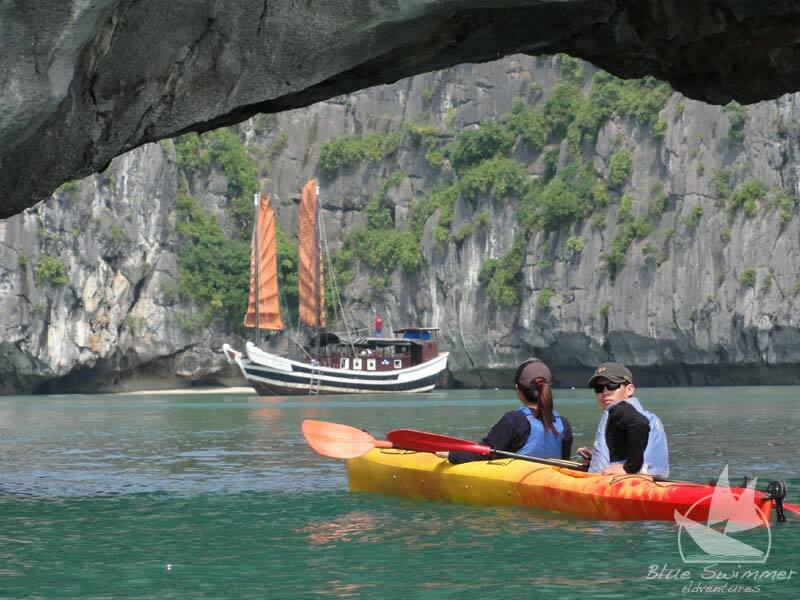 Kayak, trek or mountain bike and explore caves on Ha Long Bay by sea kayak and sailing junk. 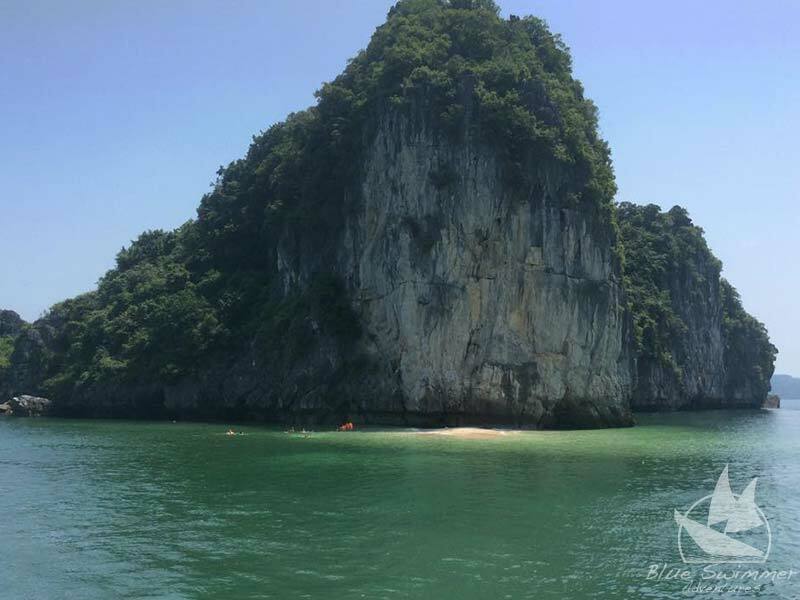 We meet you at the ferry dock and transfer you to Ben Beo Pier, were we get in the kayaks and set out on the bay to discover coves and quiet beaches. 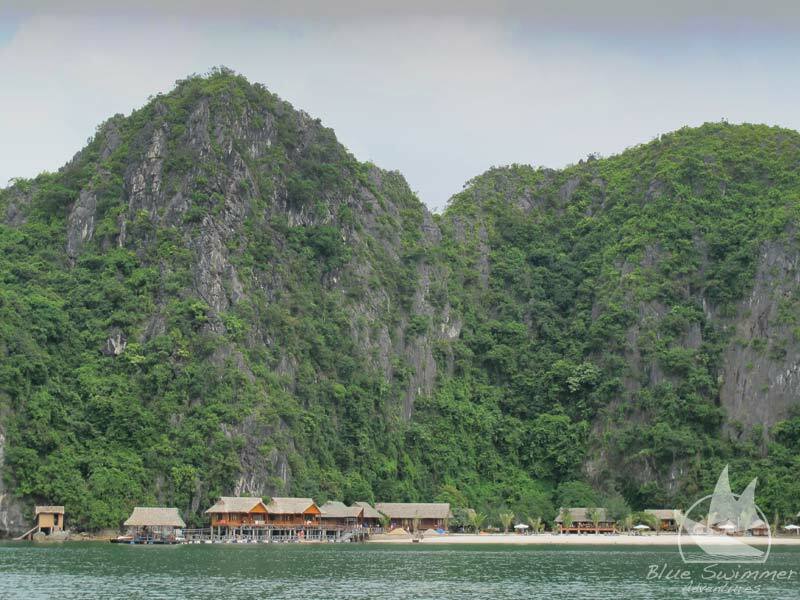 We make our way to pearl farms and fish farms and take in nature on the charming bay. 11:30am: Lunch is served, and once you are comfortably full of delicious Vietnamese food you will have a few minutes to digest while we give you a short briefing. 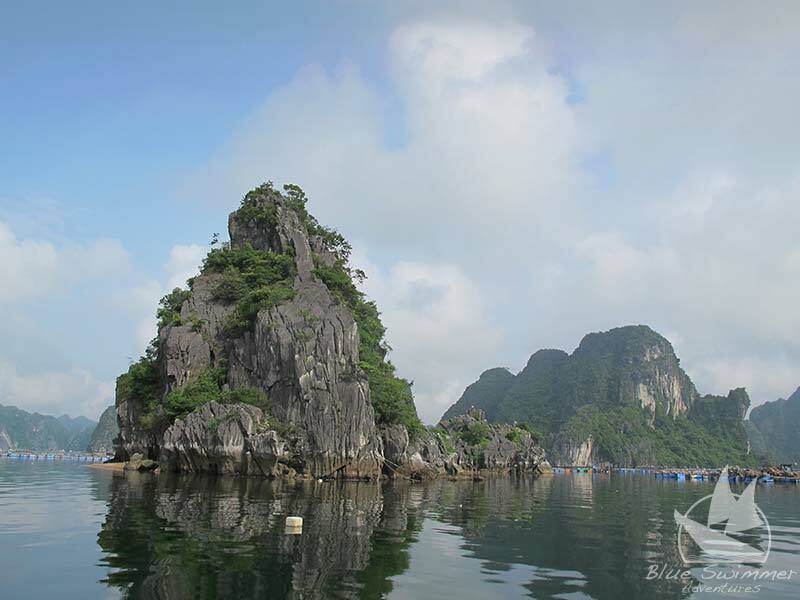 The next stage is to head out and visit our traditional floating fisherman’s village, a fascinating experience. 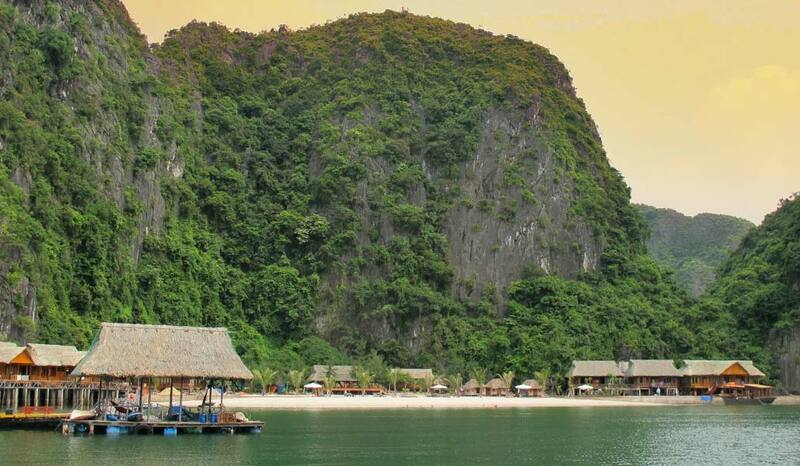 You will see their fish farm, and floating houses. 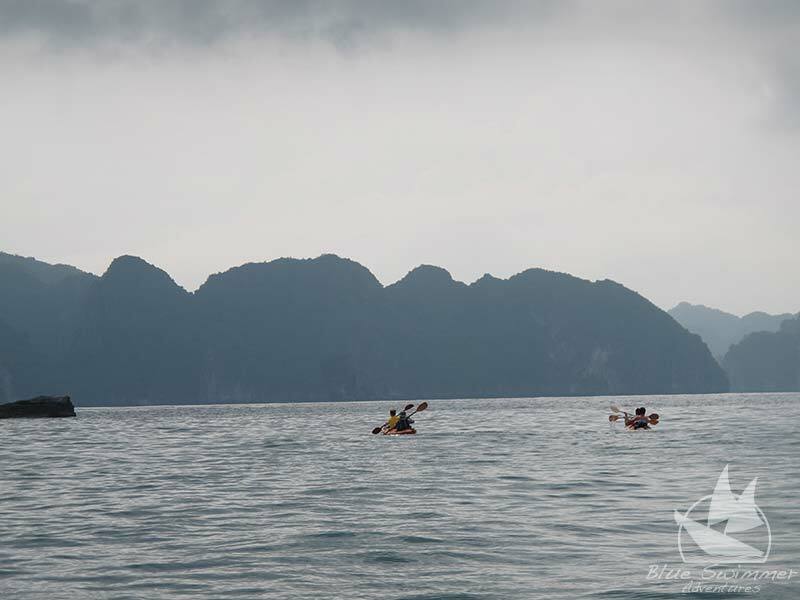 We will take the rest of the day to paddle slowly over to the Eco Bungalow on beach, with plenty of time for swimming and relaxing on the way. This is a great opportunity to experience the beauty of your surroundings in peace, away from the crowds. 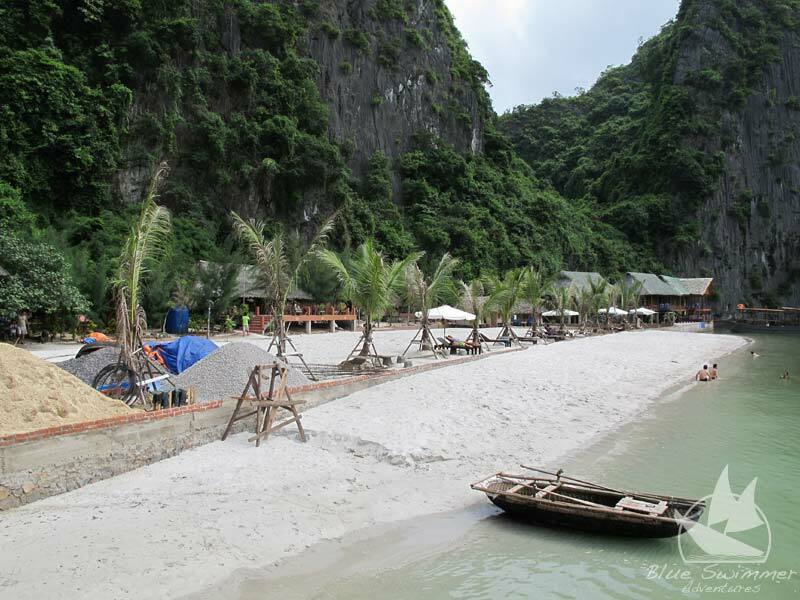 Meals: Lunch & Dinner Accommodation: Overnight in Superior room at our Eco Bungalow on Beach. 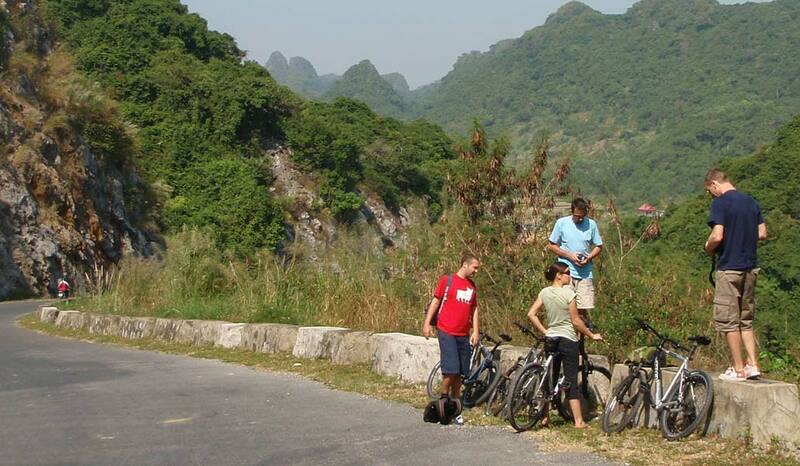 8:30am: A delicious breakfast will give you all the energy you need to tackle the cycle ride to Viet Hai National Park & village. Don’t worry, it’s not too challenging! Dependant on how much you eat for breakfast you can choose to wander around the village and meet the locals, or take a two hour trek up into the stunning National Park. 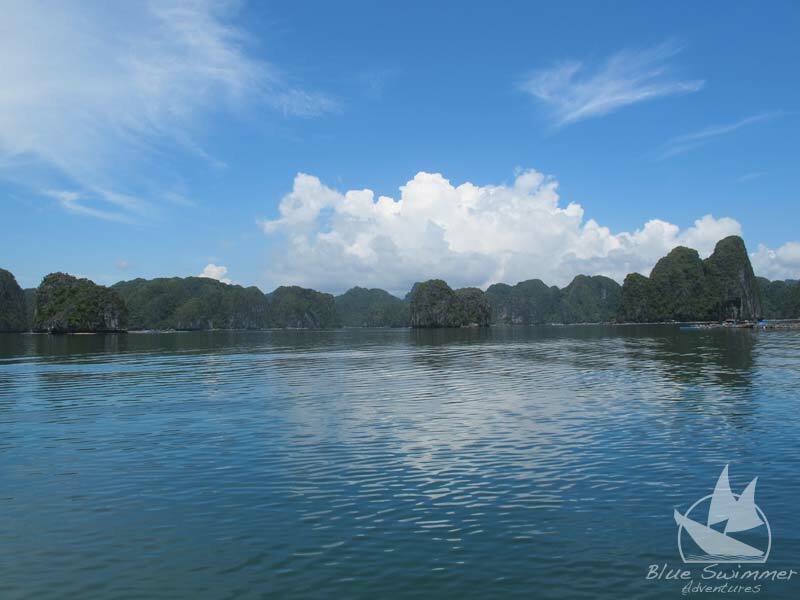 The effort of the walk is well worth it when you see the fantastic panoramic views of Halong Bay. Photographic opportunities abound! 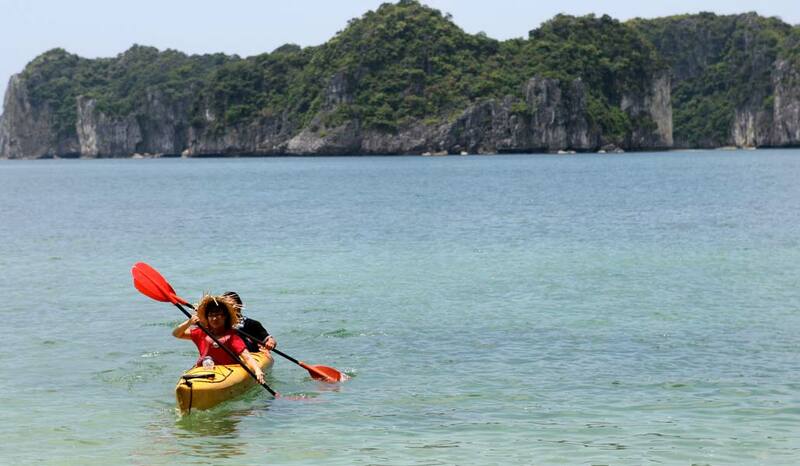 Following lunch we will pop you back in kayaks and visit some secluded beaches, beautiful temples, floating farms & still lagoons. Meals: Breakfast, Lunch & Dinner Accommodation: Overnight in Superior room at our Eco Bungalow on Beach. 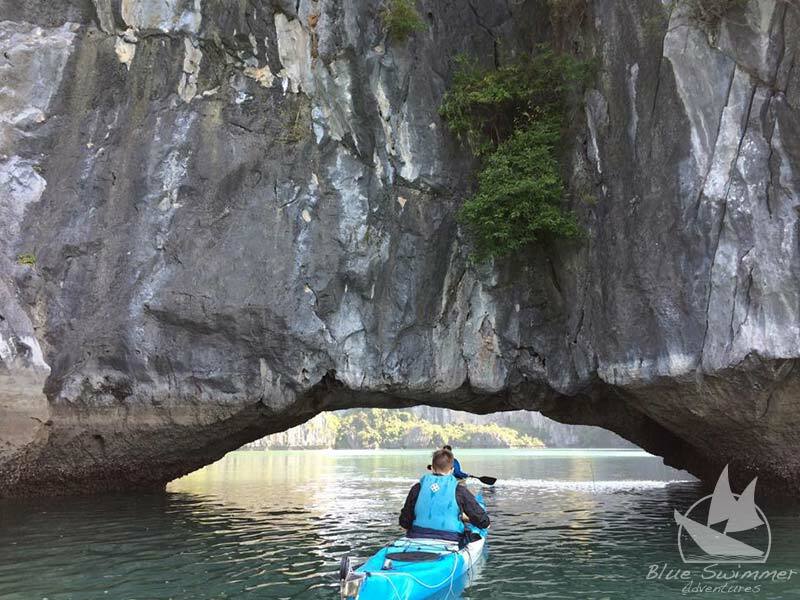 8:30am: After breakfast you Cruising to Three Tunnels Lagoon and Cave for some more kayaking, you will want to see more and more of the incredible scenery here! 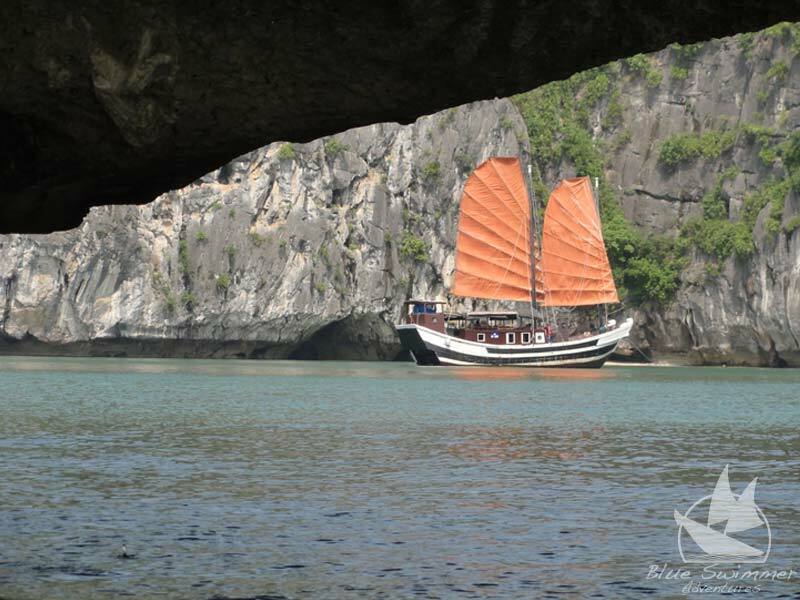 Have lunch on Three Peaches Island which is famous for crystal waters and natural beaches before heading back to Ben Beo to catch the transport back to Hanoi(Publich Bus or Private transfer). 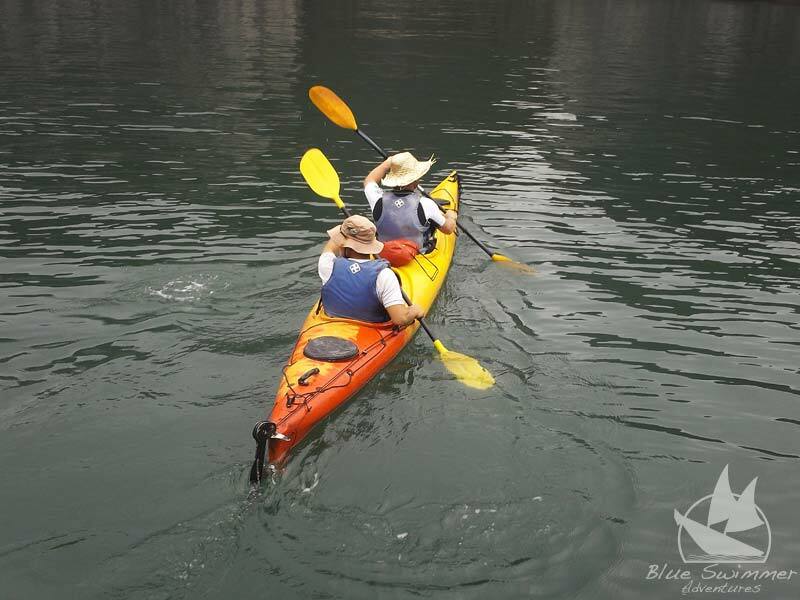 Including: Kayaking, Bike, Meals as listed above(Lunch on day 1 to Lunch on day 3), Entrance fees, Guide,Room at Eco Bungalow on Beach, Cruise boat.